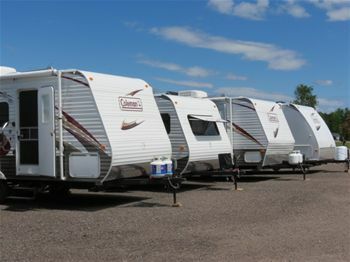 Destination RV is a family owned and operated RV dealership. We began providing true quality client service to the greater Barrie area in May 2011. Our newly renovated 3600 sq. ft. office/shop on our 5 acre property, located in Ontario's Lake Country about 1 1/2 hour north of Toronto or 1/2 hour north of Barrie allows your team of qualified product experts the facility they need to ensure you receive the quality assistance that you and your family deserve. With a full understanding and appreciation for our clients, as we too are RV'ers. 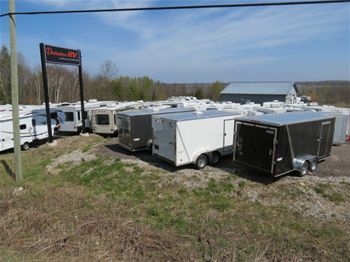 Your team of qualified product experts at Destination RV, will provide a listening ear for the purpose of assisting you and your family in finding the trailer that best suits. Your Team of certified and experienced technicians will ensure that you get the respect, appreciation, and quality service that you deserve from your family dealership. Destination RV's team focus is to share its knowledge and enthusiasm with you, to make your family RV experience enjoyable and positive. 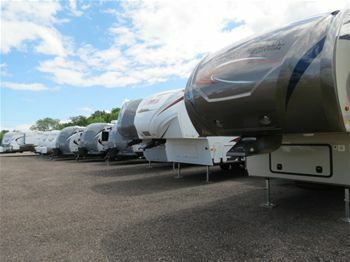 We encourage you to browse our new and used 5th Wheels, Travel Trailers, Hybrid/Expandable Trailers, Toy Haulers, Park Models and Cargo Trailers, schedule a visit and investigate financing options.